CheaperinBitcoins-Stocks are shares in the company behind the cheaperinbitcoins.com website. 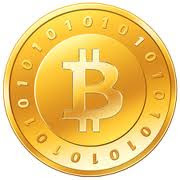 They are looking at setting up a website to act as an intermediary for the exchange of goods for BitCoins. They are looking at relaunching the currently offline site in March 2011 or possibly before. With merchants having the benefit of listing their products seamlessly into one website along side of other merchants products listed. *(Still working on this idea) Option to enable web hosting and easily using a on-line editor(no coding involved) to create a custom website shop that will automatically update product listings. Both merchant types must be verified by Snail Mail(USPS) AND E-Mail no exceptions will be allowed. Both merchants must upload documentation that proves products have been sent before funds are released to the merchant. Both merchants will receive shipping funds immediately. This is to prevent merchants to be forced spend out of pocket. Most decisions making for escalated disputes(Disputes that require a decision by a third party) will favor the merchants as they are Cheaper In Bitcoins customers but all escalated disputes will be considered with equality and kept aware that although most merchants are very trust worthy some may be con artists and that will always be taken account for when investigated escalated disputes. As for the customers they will be presented with a Cheaper In Bitcoins website with a list of categories of products to choose from. Customers can browse across thousands of products from multiple merchants and add products into one shopping cart and have only one check out page this is to provide a seamless and transparent experience for the customer -- The customer doesn't have to know that they are purchasing form multiple merchants if they don't want too but the information of the merchant they are buying from will also be easily accessible to those who are interested in whom they are buying from by looking in the "Specs" tab on each product page. Any and all of these plans can change for the final result but I've weighed out a lot of options of everything to my knowledge and this sounds like a good pursuit for investors, me and the community as a whole so I'm working hard to make it work out for everyone but in order for me to do that I need feed back so what do you think so far? The shares listing is only from this January with a current price of 0.4499BTC and a traded volume of 242 shares valued at 33.66BTC in the first three weeks.